yogesh dhamne, 24 Oct 2013It is very smart phone I like it it is very slim and strong many features in this phone design... moreIts good..but some problems.1on off switch 2 betry beckup 3 hang and slow . Reema, 21 Nov 2013Hi, I use A15 since last 5 months but suddenly create some problem in phone, 1. In gallery al... more yaar me to facing the same pgroblem. yesterday i remove my memory card and re-insert in this phone and its freak phone suddenly stop showing my memory card in it. plzzz help what to do i have my pictures collection in ma memory card. I use A15 since last 5 months but suddenly create some problem in phone, 1. In gallery all picture & video is hide. 2. In contact list, some contact automatically hide from list. 3. Battery Backup is not good. 4. In Call Log some time saved contact is not show by name. 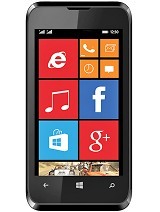 ABHI, 30 Oct 2013AWESOME PHONE FOR 5700/- It has the features of a 11,000+ phone. A total steal !This phone is only OK.it hangs a lot,battery problem,camera is not good. 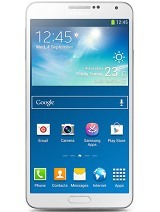 what about the size of A15?Is it possible to carry this phone on pocket? Credit: itzmiandy for creating CWM. I have just created an installer. Created an easy Installer for CWM. Those who find it difficult for flashing through fastboot. 1 Load all drivers on ur pc which we call ADB drivers. U will see file named Install CWM.bat. Follow instructions on the DOS screen to make it load CWM recovery. AWESOME PHONE FOR 5700/- It has the features of a 11,000+ phone. A total steal ! 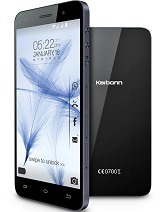 Total of 942 user reviews and opinions for Karbonn A15.